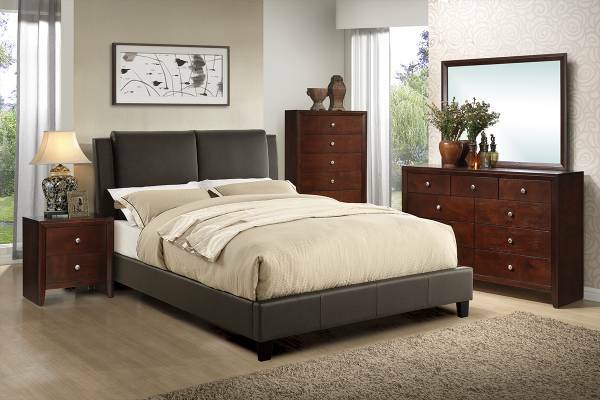 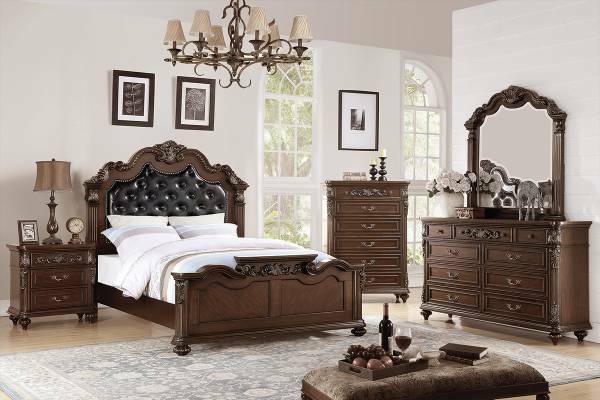 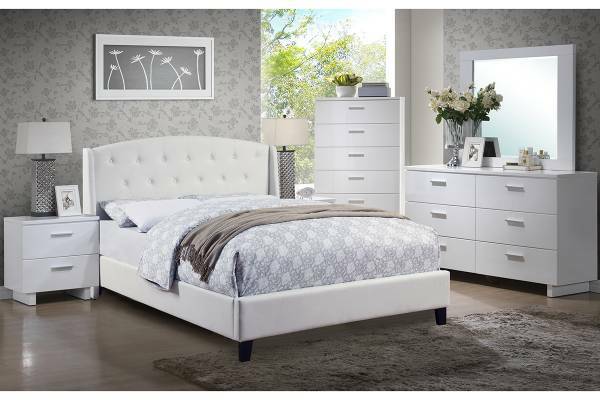 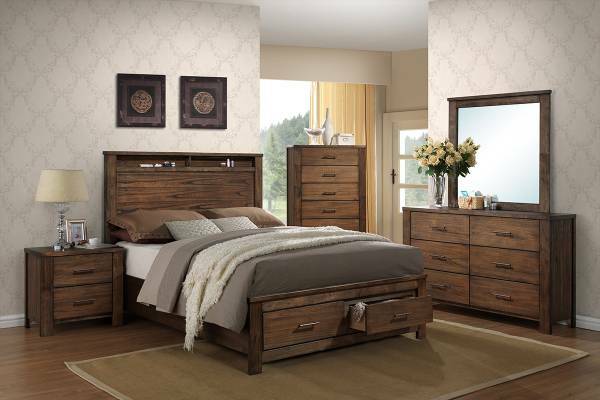 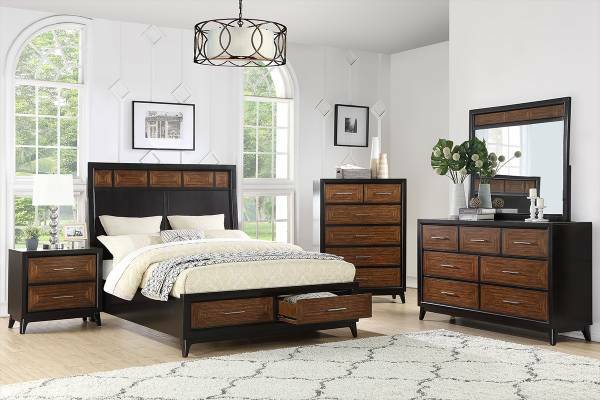 Consists bed, nightstand, mirror, dresser, and chest, this complete and modern master bedroom set is a must have to match your minimal and chic style. 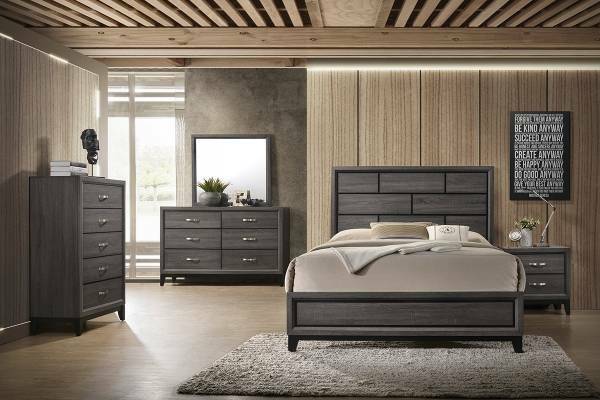 Featuring silver faux leather finishing with cushion bed headboard create a soften look that fit any interior decor, and it provides sizes for queen, California King, and Eastern King bed. 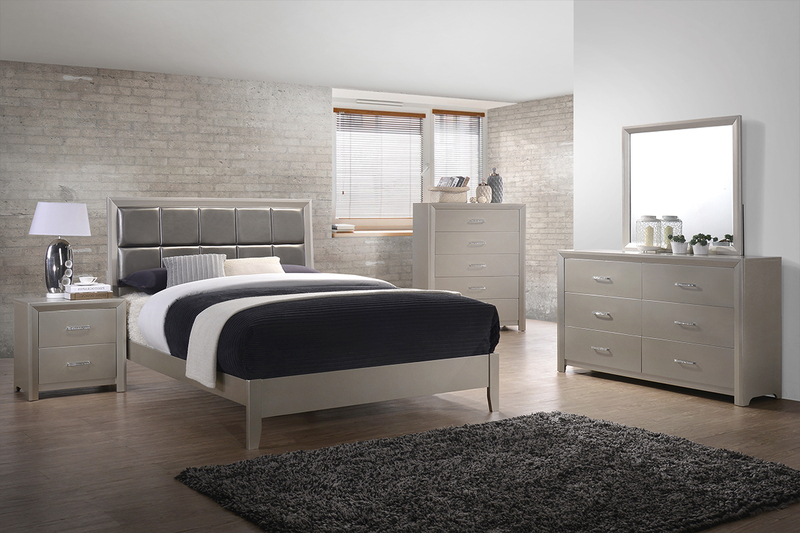 The other pieces of this elegant collection elevates the whole room with their functional drawers and extended display to place necessities.